Get noticed, incite curiosity, provoke interest and create visibility—these are the key requirements to a product launch or street marketing site. 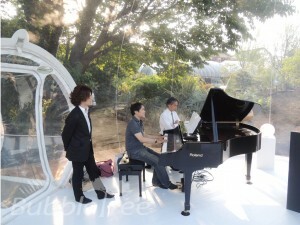 The mise-en-scène, the scenography, the show make the event. And to nail it, you need to make it visible, at the same time managing accommodation capacity and people circulation. For this type of event space, you will seek ambiance and intimacy. 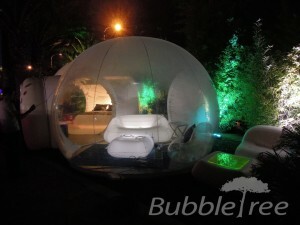 The Bubbles instill serenity and well-being into the guests bringing in a genuine conviviality. 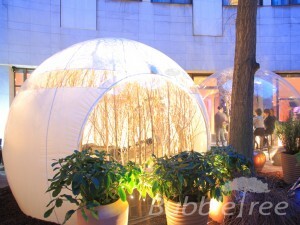 The unusual experience created inside the Bubbles rallies the guests around a project or activity. 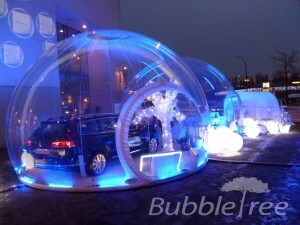 Within a new and special environment, the Bubbles shape cohesion of a group. 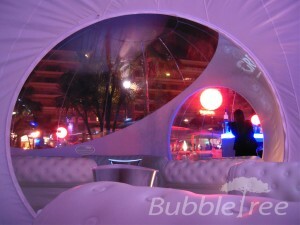 The special acoustics of the sphere makes the Bubbles a unique event space that inspires pleasant and effective communication. 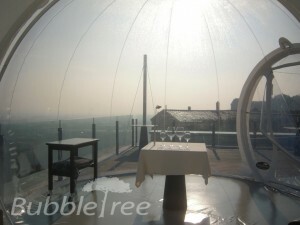 To answer the frequently evoked under-capacity of accommodation space proposed by event sites, BubbleTree Event has developed the offer of upscale temporary accommodation.